Buying your engagement and wedding rings can be a pretty scary business. One reason is that they both represent a serious commitment, for taking your relationship to the next level: the life of the married. Another other reason is that they are usually quite expensive pieces of jewelry that you will be wearing forever. The story of the engagement ring goes way back to the Roman Empire. The Romans would offer their fiancée an engagement ring with a little key. As romantic as it might be to think that the key would be used to open the heart of the loved one, it was actually used to open the chests storing valuables in the house. Just like with any other type of jewelry, the price of the engagement ring varies considerably depending on the materials used, the design, the value of the stone or stones and the manufacturer of the ring. The prices of the stones themselves are related to their type, cut and quality. Diamonds, for example, have a standard description that evaluates them depending on their weight in karats, color, clarity, and cut. Here you will find all the information you need about buying a diamond. Other precious stones as sapphires, emeralds and rubies have different evaluation systems. People choose one stone or the other for the engagement ring depending on their personal taste and moral beliefs and there is no real must-have list, although many still prefer diamonds as they are the traditional choice for the engagement ring. A popular substitute for the diamond is cubic zirconia, a very common choice nowadays, especially due to the lower price. There are men who will save for yours to raise enough money for a beautiful engagement ring. We still have this idea in our heads that the man should spend a considerable amount of money on the engagement ring. But this idea didn’t come out of nothing. Apparently it all started in 1930 and it is the doing of a marketing firm called De Beers. Their purpose was to increase the sale of diamonds. They created a marketing campaign suggesting that a man should spend a month’s income on the engagement ring. Later, they suggested that two months income should be spent on the ring. For 2014, studies show that the average cost of the engagement ring is $5,855. With the average cost of the engagement ring so high, it is obvious that the price of the wedding rings couldn’t be less. Finding the wedding ring is a happy, memorable moment in a couple’s life. Nobody wants to consider the things that would ruin the happiness you feel during this period in your life. But the truth is that anything can happen, and it is better you are prepared for whatever might come your way. This is why experts recommend that you should consider wedding ring insurance, as well as engagement ring insurance. Discuss with your partners even in the middle of your crazy wedding preparations. That discussion may serve you well in the future. The love and commitment represented by wedding rings are just as important – in fact, even more important – than their material value. However, it doesn’t matter how much you have paid for them – insurance is a way to protect their real value for you as a couple. When it comes to wedding insurance, there are a few options for you to consider. 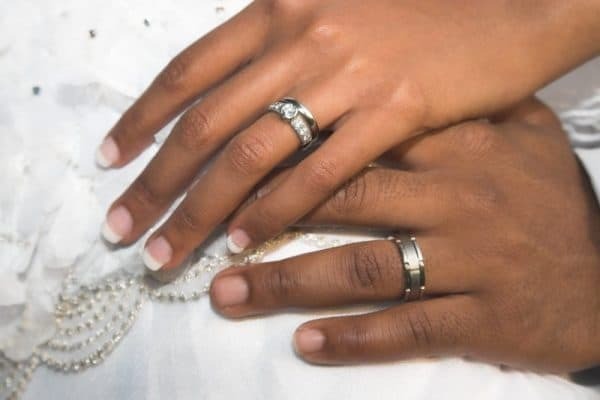 If you have a home insurance policy, it may cover the loss of the wedding rings up to a certain figure, depending on the limit you have for personal items. To fully cover the value of the expensive items like jewelry, you can pay for an extension of the insurance policy such that specific, named objects are covered. You can ask your insurance company if offer wedding insurance policies. Another option is to request a jewelry insurance quote from a company offering such insurance. These type of companies offer different flavors of insurance and usually with better coverage than regular insurance companies. For example, these kinds of policies might allow you to recreate a lost item of jewelry or repair a broken one. The engagement and wedding rings might be some of the most valuable purchases in your lifetime. Insurance brokers advise us to respect those acquisitions by purchasing insurance policies accordingly. If you have already decided on an insurance company, check out here if your jewelry insurance is up to the gold standard. For more details about a company that only offers jewelry insurance, check here. One essential question to ask your insurance broker is whether their insurance cover a stolen ring? All wedding rings are precious and should be covered by insurance policies. So how does one go about obtaining wedding ring insurance? See a jewelry expert to obtain documentation about the value of the rings and their stones, to get an insurance policy with suitable coverage. Sometimes the receipt from the shop where you purchased the wedding rings will be enough, though it is better to check with the insurance company about their specific needs and requirements. Keep in mind that you will need to purchase engagement and wedding ring insurance as soon as possible. You do not know when you might need to use that insurance. The cost of the insurance will vary depending on the insurance company and the item to be covered by the insurance policy. Insurance for your engagement ring and wedding rings will allow you to wear them with pride and trust, enjoying their beauty – without having to worry about them getting lost, broken or stolen. The loss of engagement or wedding rings can be painful on so many levels, and we certainly hope it won’t happened to you. But in case it does happen, and you have them covered by insurance, here are the procedures you will need to go through to claim the insurance for the lost ring. While the insurance company can’t replace the sentimental value, it can make sure your ring is replaced with a similar one. While each insurance company has its own procedures, most of the time the steps to take are similar. File a written report. Some companies will also allow you to report the loss of the wedding ring by phone, but experts recommend presenting something in writing too, making sure you keep a copy for yourself. Where you were and what you were doing at that time (the insurance company will want to know you tried your best to recover the ring, and it just couldn’t be recovered). The insurance company will receive your report and process your application. Once it is approved, they will provide a claim sheet to the jeweler that you will work with to replace your ring. When the jeweler receives all the necessary documentation, you will collaborate to find a ring you like. Most insurance companies will offer you the option of having your ring replaced or getting a check for the replacement value. It is crucial you give notice to the insurance company as soon as you discover the loss. This is not something to postpone until you have more free time on your hands. Procrastination is never a good idea when claiming insurance money as the process will take enough time as it is, without you being late with your report. If you have your jewelry covered by the house insurance policy, read the documents carefully as the insurance usually doesn’t cover the loss of the wedding rings if it occurs outside the limits of the property insured. The value of the wedding rings will be compensated if the loss happens due to fire or house breaking; these are the most common cases. We are looking forward to hearing how much you paid to get your wedding rings insured on our Facebook page. Also you can show us your beautiful wedding rings on our Pinterest page.